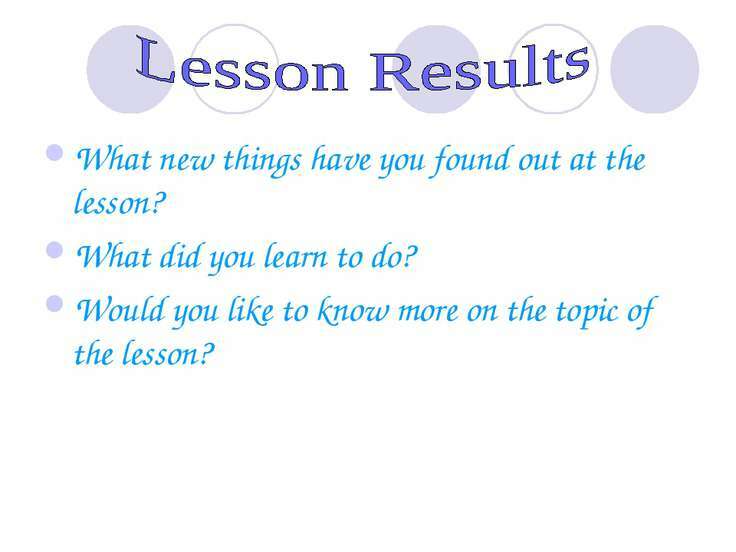 What do you expect to learn at the lesson? 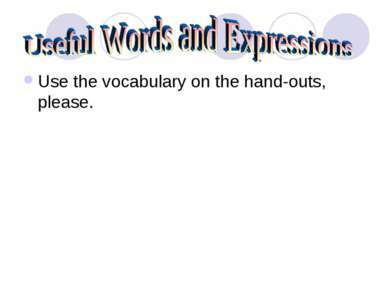 To improve reading and speaking skills. 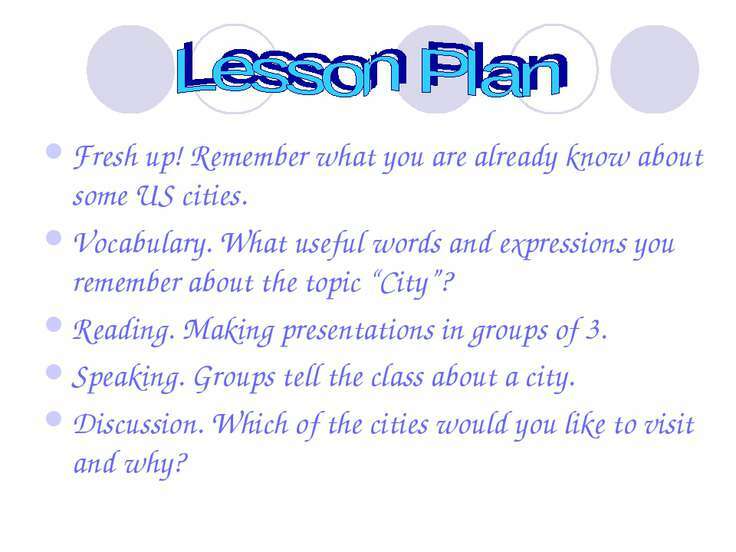 To train vocabulary on the topic “City”. 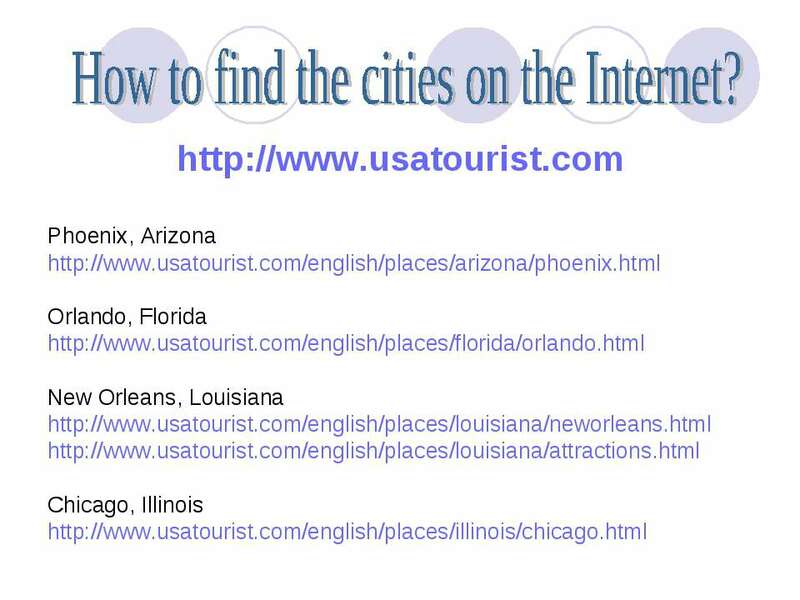 To enlarge cultural knowledge about the USA. To use computer skills for learning purposes. Fresh up! Remember what you are already know about some US cities. Vocabulary. 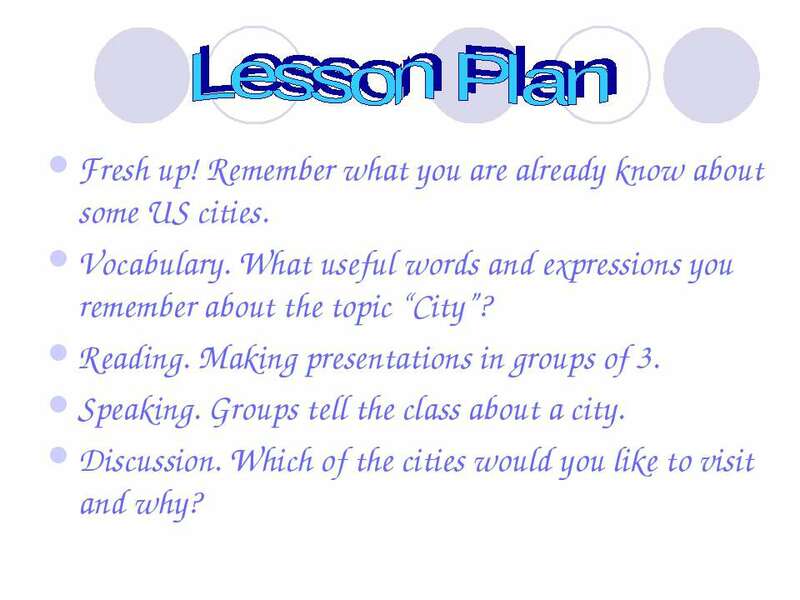 What useful words and expressions you remember about the topic “City”? Reading. Making presentations in groups of 3. Speaking. 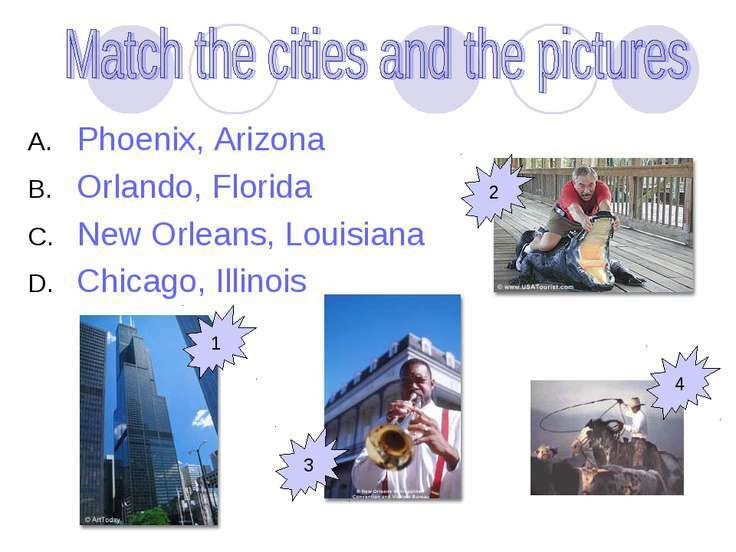 Groups tell the class about a city. Discussion. Which of the cities would you like to visit and why? 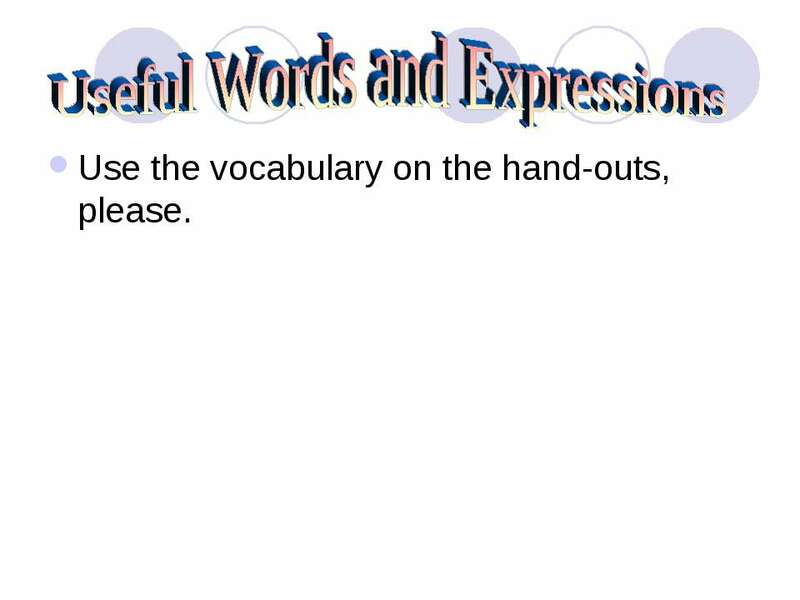 Use the vocabulary on the hand-outs, please. 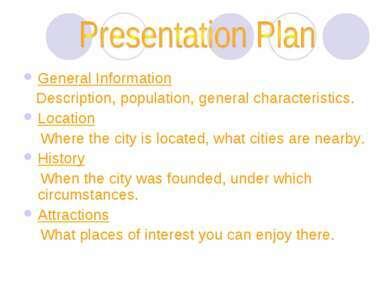 General Information Description, population, general characteristics. Location Where the city is located, what cities are nearby. History When the city was founded, under which circumstances. 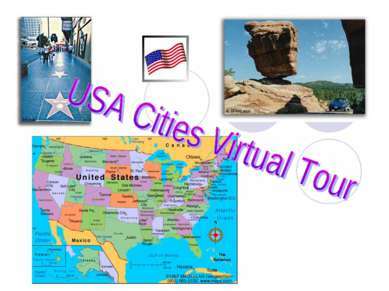 Attractions What places of interest you can enjoy there. 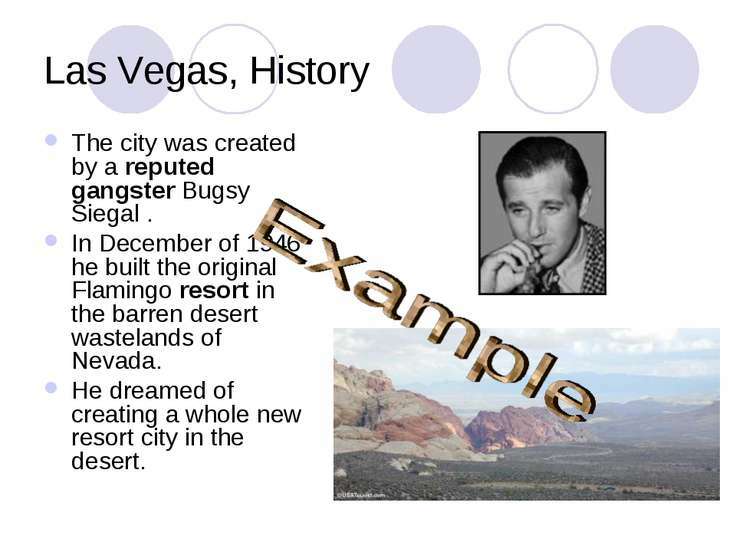 Las Vegas, History The city was created by a reputed gangster Bugsy Siegal . In December of 1946 he built the original Flamingo resort in the barren desert wastelands of Nevada. He dreamed of creating a whole new resort city in the desert. 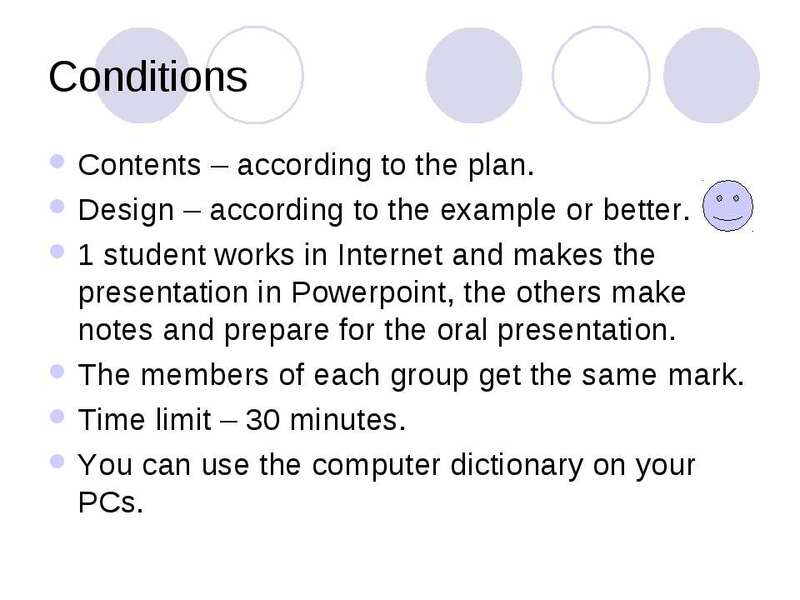 Conditions Contents – according to the plan. Design – according to the example or better. 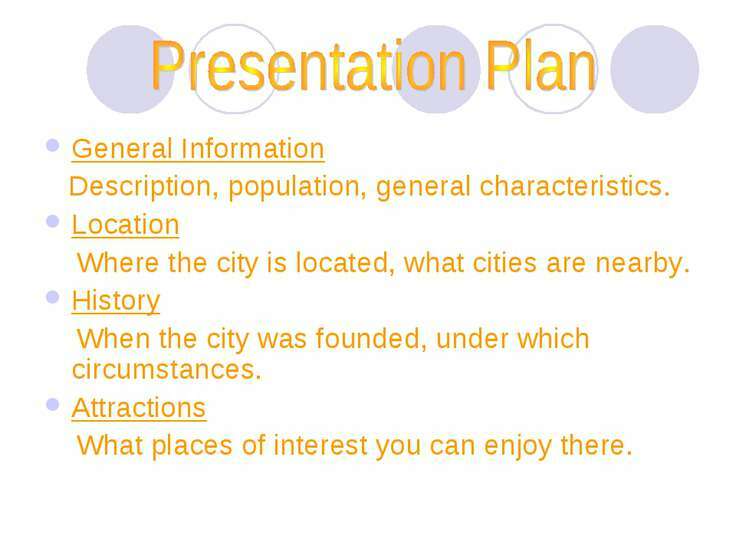 1 student works in Internet and makes the presentation in Powerpoint, the others make notes and prepare for the oral presentation. The members of each group get the same mark. Time limit – 30 minutes. 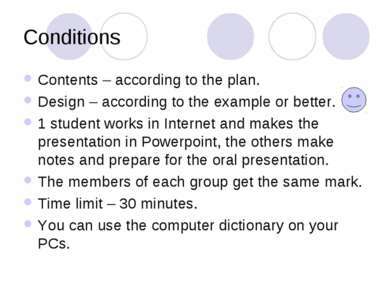 You can use the computer dictionary on your PCs. 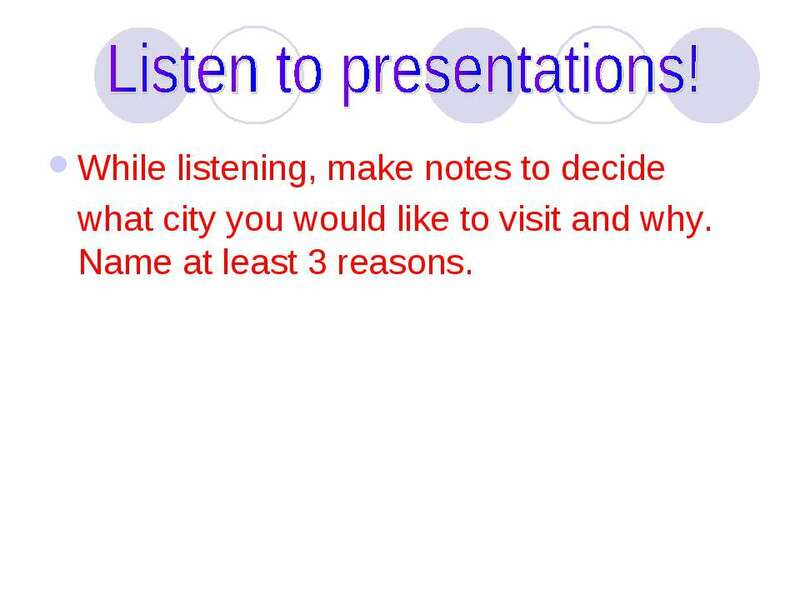 While listening, make notes to decide what city you would like to visit and why. Name at least 3 reasons. 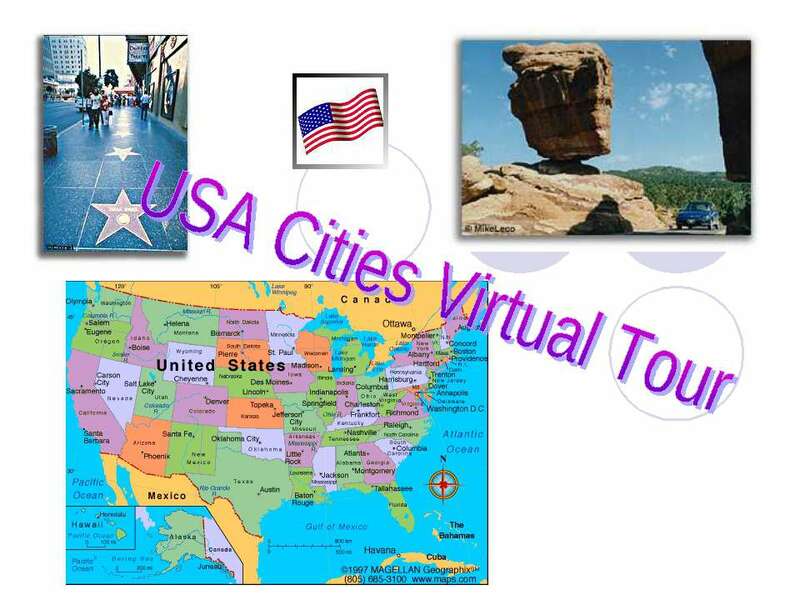 Express your opinion on the question – what city would you like to visit and why? 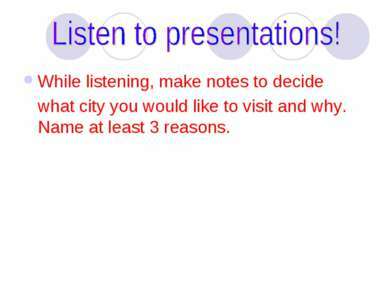 Name at least 3 reasons. 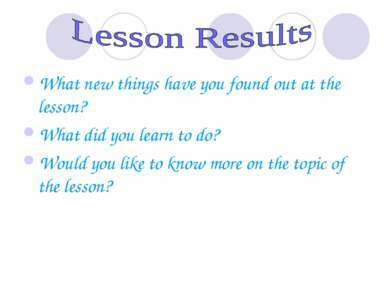 What new things have you found out at the lesson? What did you learn to do? 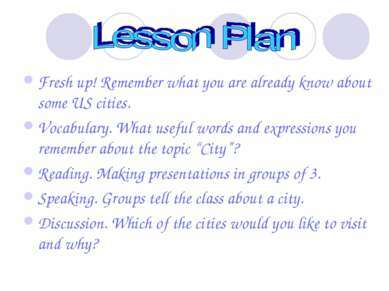 Would you like to know more on the topic of the lesson?